New Delhi: Announcing voluntary and non-binding carbon reduction targets till 2020 in Parliament, the Congress-led United Progressive Alliance (UPA) signalled that the government was willing to extend more concessions if the rest of the world could arrive at a fair and equitable climate change agreement in Copenhagen. 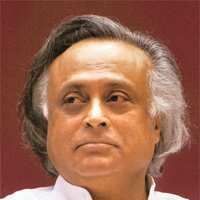 The government pledged a 20-25% cut in emissions intensity per unit of gross domestic product (GDP) by 2020, environment minister Jairam Ramesh told the Lok Sabha on Thursday. Emissions intensity is the ratio of greenhouse gas emissions to per unit of GDP. The rare unity among members of Parliament during the discussion seemed to have given UPA more political room and confidence over the flexibility it could adopt at the negotiations due to begin in Copenhagen at the climate change meeting on 7 December. Ramesh, who announced the cut in the Lok Sabha, said that this was going to be India’s baseline and that it will not need any help from developed countries to achieve the reduction. India’s move came within a week of China volunteering to cut its carbon intensity by 40-45% below 2005 levels by 2020. Brazil and Indonesia have also expressed their intent to implement conditional emission reduction targets—provided that they were suitably compensated for stopping deforestation. “Our position will strengthen if we go to Copenhagen from a position of leadership," Ramesh said, justifying the government’s stand. Ramesh signalled a shift in position when he dismissed India’s conventional stance that said cuts should be distributed on the basis of per capita carbon emissions. According to this measure, India is well below the global average and the two lead polluters, China and the US. However, some members of India’s negotiating team differed with the minister. “It is a major departure from the national consensus. The minister was very dismissive of the past approach and at same time he is saying that India achieved 17.6% reduction from 1990-2005," said an official, requesting anonymity. “So how did India accomplish this if the past effort was rubbish? How many countries have accomplished this?" Another government official, who too did not wish to be identified, said: “There have been many studies. If one study shows that 24% is possible, so what?" Limiting the carbon intensity of an economy can constrain the nature of the economy. China, with an economy highly focused on manufacturing, compared with India’s, which is predominantly a service economy, has a much higher carbon intensity. Chandrashekhar Dasgupta, who is part of the country’s negotiating team on climate change, said that if, in the future, India were to focus more on manufacturing or infrastructure, it would increase its carbon intensity per unit production. “(US President Barack) Obama is coming to Copenhagen to move the world from a legally binding instrument to a ‘pledge and review’ instrument. If India goes ahead and announces this, it will have serious repercussions for the G77," Sunita Narain said on Wednesday. Narain is a member of the Prime Minister’s council on climate change and director, Centre for Science and Environment, a New Delhi based environment NGO. The political support for the government, especially since the UPA and Ramesh in particular have been severely criticized recently, came as a surprise. “The entire House was united because everyone was aware of the damage and that it has cost us a lot," said V. Kishorechandra Deo, senior Congress member of Parliament (MP) and chairman of the powerful Committee on Public Undertakings. Ramesh set the tone for his speech by referring to the “remarkable degree of agreement that climate change is a serious and important issue". Though the minister signalled that India could exhibit more flexibility in its negotiating stance, there was no dissent from the Opposition benches. At the end of a not-so-well-attended but lively four-hour debate, the minister’s reply appeared to have satisfied most members. When some Communist Party of India (Marxist) members sought some clarifications, Bharatiya Janata Party members were seen gesturing to Arjun Charan Sethi, who was in the chair, not to permit questions. “The minister’s reply has touched every point. No need for clarification," Sethi said. Ramesh’s hour-long speech also was heard in rapt attention and without any major interruption, even when he announced the voluntary emission cut. Most of the 18 speakers, especially the young MPs, cutting across party lines, reminded the House that the country could not walk away from its responsibilities by saying that India’s per capita emission is less than that of developed countries. “We have to adopt emission cuts and take the moral responsibility," said Congress member Jyoti Mirdha, a first-time MP. “Our stand should be determined by how much we are going to lose," said Jayant Chaudhary of the Rashtriya Lok Dal, who also pledged his party’s support for government’s initiatives. The government has said previously that it won’t accept legally binding emission cuts. India, China, South Africa and Brazil have together stated that they will walk out of the climate talks if they are forced to accept peaking of emissions. That would bind a country to making sure that it doesn’t exceed emissions after the peaking year.